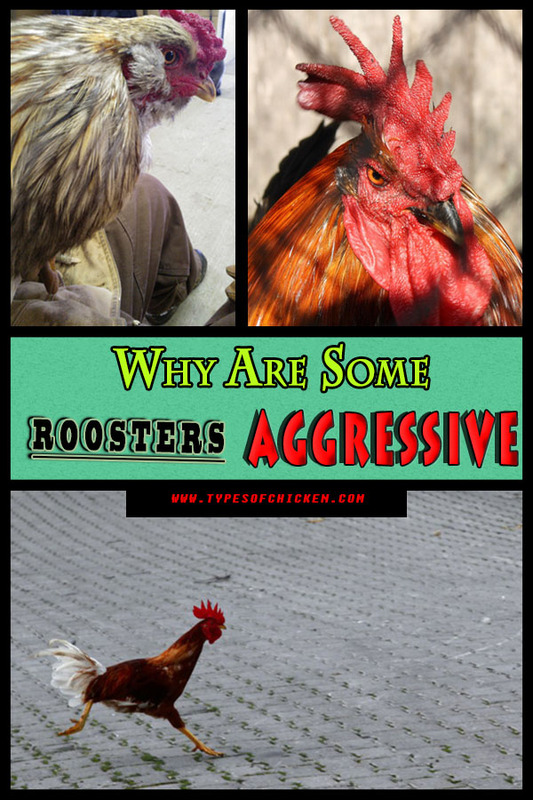 Why Are Some Roosters Aggressive? March 20, 2016 May 6, 2018 - by Barbu d'Uccle - 3 Comments. 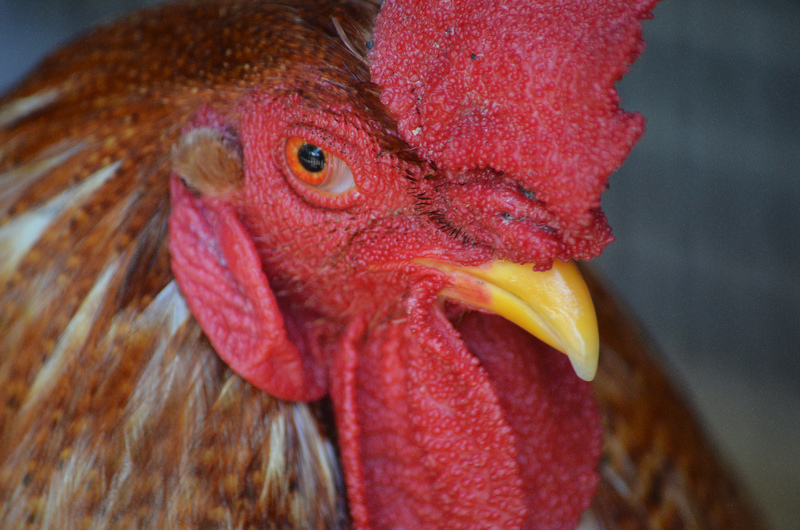 Every chicken keeper, novice or more experienced one has had an issue with some aggressive rooster in their flock. 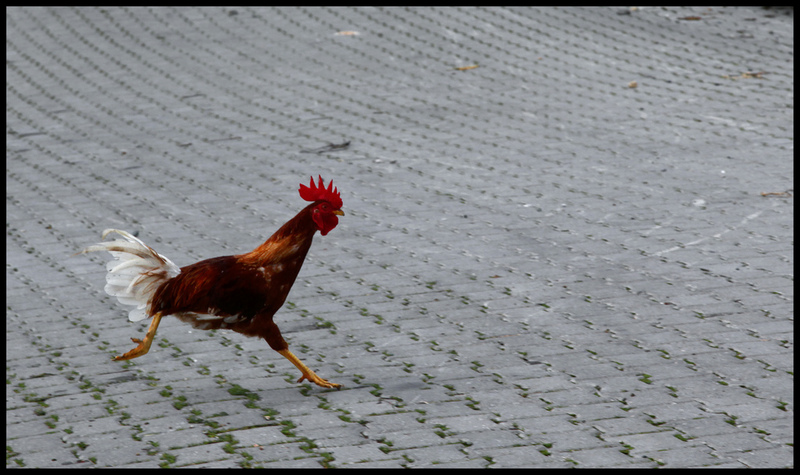 Not every rooster is aggressive but once in a while, some roosters have the tendency to become aggressive even if they are kept in the same flock since they were cockerels. We at the typesofchicken.com have been asking ourselves the question why are some roosters aggressive and we did a lot of research on the particular subject but we were not able to find any particular answer. What we managed to find are a few different reasons why this happens based on observation of the roosters and that is what we at the typesofchicken.com team decided to share with our readers today. In one of our previous articles called 40 amazing facts about chickens you might not know we mentioned that chickens were first domesticated for the purpose of sports, particularly cockfighting. When humans found a way to cross-breed chickens to get a particular breed that can fulfill their needs, they started breeding chickens, especially for cockfighting. So it is safe to say that those roosters that were bred purposely to be aggressive and to fight have transferred some genetic materials in the modern roosters. And this is why we chose to put genetics as one of the reasons your rooster is or may become aggressive. Aggression becomes a problem for some cockerels when they start reaching puberty. Cockerels reach their puberty when they are around four months old (depends on the breed). This is when the testosterone levels are starting to get higher and higher and that can affect the behavior of your rooster for his whole life. There is nothing that you can do to train a cockerel not to be aggressive, all the hugging and talking or giving treats will not help you with an aggressive cockerel. Roosters have a natural instinct to protect the flock and to mate. Combine that fact and the fact that there is a hierarchy in every flock, you can see where we are going with this. Every rooster makes a choice how to protect his flock from threats, some choose to do it by being aggressive to everything that they find a threat. This totally up to the roosters’ individuality and it is hard to distinguish if your rooster will become aggressive by breed or how you treat him while he is just a cockerel. You cannot teach a rooster to not be aggressive! You will not have a smaller chance to have a less aggressive rooster if that is what his breed is like! Being aggressive towards an aggressive rooster will not help at all, many chicken keepers have tried this and it has not worked and will not work ever! If you don’t have an idea what to do with your aggressive rooster try dislocating him to an adequate environment. Previous Article 5 Tips On How To Keep Your Eggs Fresh!!! Next Article PROS & CONS About Keeping Sussex Chickens! I had to chuckle to myself as I read this article as we are currently dealing with an aggressive rooster here. We tried about everything from using a pig sticker to a broom, to discourage him from attacking us. Finally, after giving it much thought on how to deter bad behavior in our dogs and cats, we decided to try the same approach. Lo’ and behold, it seems to be working as we’ve gone a week without any physical contact! Thanks for that tip about the water bottle. Love it.